Boutique style Uptown living with fall/winter skyline views of the Queen City in increasingly popular Wesley Heights. Historic Wesley Heights community is in the National Registry. Walking distance to Stadium & Frazer Park, 2 blocks from Uptown, Gateway Village and Johnson & Wales University. 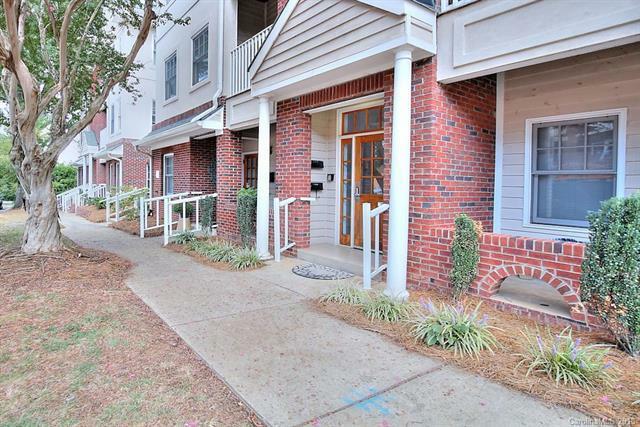 This amazing 3 BR, 2.5 BA condo has an open floor plan, fully equipped kitchen with stainless appliances, beautiful cabinetry, granite, and bar top. The master suite features large walk in closet and private bath. There are two balconies, 9'ceilings throughout, ceiling fans, Hardwood flooring in main living areas, tile in baths, lots of moldings too! Water, basic cable and internet is included in HOA PLUS outdoor terrace with firepit, gas grill and lounging area. What more could you ask for?